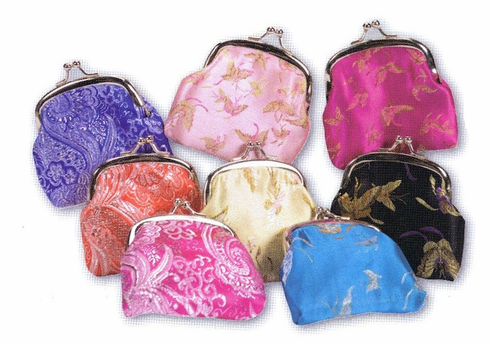 Coin purse comes in assorted patters. Measures 3 1/4" wide. Keep your change in style.